These broadcast lighting experts offer a wide range of services needed for today’s studio environments, ranging from full professional lighting design services to offering the latest state of the art lighting gear and equipment. Find experts in energy efficient LED lighting instruments as well as designers who can create dramatic lighting in spaces ranging from massive soundstages to small webcasting spaces. 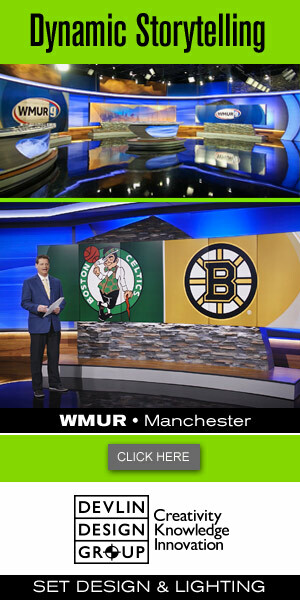 These firms also offer a slate of installation, procurement, maintenance and lighting refresh services for TV news, sports, weather, entertainment and other studio environments. Highly sophisticated luminaires, flexible modular lighting systems and turnkey lighting solutions are the fundamental idea behind ARRI LED systems. ARRI´s LED technologies and services allow stunning new features and form factors that have never been possible with other illuminants. Barbizon specializes in solutions/Integration of studio & location lighting systems for broadcast, corporate, content creation, film, and themed environments. Our clients include networks, broadcast groups, and corporations world-wide.